The Congress will contest the upcoming Lok Sabha Elections 2019 and Andhra Pradesh Assembly Elections alone, the party announced on Wednesday while ruling out the possibility of an alliance with the ruling Telugu Desam Party (TDP) in the state. 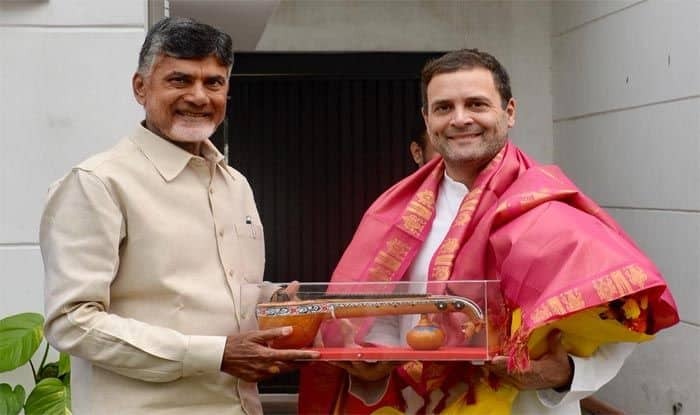 New Delhi: The Congress will contest the upcoming Lok Sabha Elections 2019 and Andhra Pradesh Assembly Elections alone, the party announced on Wednesday while ruling out the possibility of an alliance with the ruling Telugu Desam Party (TDP) in the state. “The TDP allied with us only at the national level, so we will have no truck (with it) in the state,” he maintained while asserting that the Congress will not have any alliance with the ruling TDP in Andhra Pradesh. Addressing a press conference after a meeting of the PCC office-bearers, Chandy said they would meet again on January 31 to discuss about the poll preparations. In February, the party would also undertake a bus yatra in all the 13 districts. Meanwhile, the TDP has not made any official announcement on the development as of yet. However, a report quoted a TDP worker as saying that it was ‘better’ for the Congress to leave as it was ‘not going to get anything from them anyway’. A senior TDP leader also indicated that the party may tie-up with the Janasena for the polls while adding that a decision on the same is likely to be announced by March. The Congress, which formed a pre-poll alliance with the TDP and two others for the recent Assembly polls in Telangana, ended up with 19 seats, down from 21 in 2014, while the TDP won two seats as against 15 last time. The Telangana Rashtra Samithi (TRS) won 88 seats in the 119-member Assembly to retain power.